We give you FOUR running-specific workouts every week including: 2 core strength workouts, 1 plyometric workout & 1 active recovery/stretching workout. You complete the workouts in your own time during the week, around your running schedule. Every workout can be done at home and only takes 20-30mins. 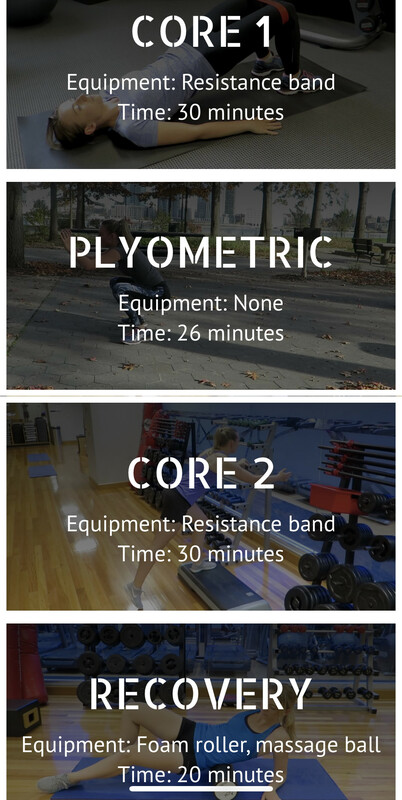 Access the full exercise library with 80+ strengthening and stretching exercises anytime. Just watch the video tutorials to master the technique.